The drive towards autonomous vehicles will encounter many challenges and several of them will revolve around data. The scale of the task of creating a car which can drive more reliably than a human cannot be underestimated. In just one day, a test autonomous vehicle produces as much data as the Hubble telescope produces in a whole year. Many companies involved in the development of self-driving cars have turned to deep learning techniques to reach their goals, which means analyzing vast amounts of data from many vehicles. Moreover, this data must be stored and managed effectively in order to train the neural networks which will eventually control autonomous vehicles. Car makers and stakeholders, therefore, must consider the data-related processes involved in the acquisition and management of such large amounts of data. 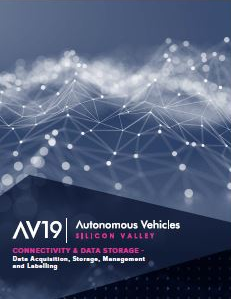 Equally, the infrastructure required to manage autonomous vehicles as they are rolled out in the future requires detailed planning and preparation. According to research by Mighty AI and Accenture, data challenges can be broken down into four main categories: data acquisition, data storage, data management, and data labelling.